Jennifer Rollin is a therapist and founder of The Eating Disorder Center in Rockville, Maryland, who specializes in working with adolescents and adults with eating disorders including, anorexia, bulimia, and binge eating disorder, body image issues, anxiety, and depression. Jennifer has experience working in a variety of settings including, an outpatient mental health clinic, residential programs for adolescents, and a sexual assault crisis hotline. She serves as the chairwoman of Project Heal's national network of eating disorder treatment providers. Jennifer has been named as one of the top eating disorder experts in the world by Balance Eating Disorder Treatment Center. Jennifer has a certificate in Enhanced Cognitive Behavioral Therapy for Eating Disorders. She also has a certificate in Dialectical Behavior Therapy. She is a Certified Intuitive Eating Counselor. She is on The Junior Board of Directors for The National Eating Disorders Association. She was invited to serve on the conference committee for The National Eating Disorders Association's 2018 Conference. Jennifer has been interviewed speaking about eating disorders on television including on Fox, ABC, PBS, and NBC. She gives talks about eating disorders at national eating disorder conferences, therapy centers, and colleges. She is an expert writer for The Huffington Post and Psychology Today. Her professional blog was named one of the top eating disorder blogs in the world. Her articles have reached thousands of people through websites, magazines, and books, including, Eating Disorders in America: A Reference Handbook, How To Thrive: Expert Tips For Recovering From An Eating Disorder, EatingDisorderHope.com, Anxiety.org, NationalEatingDisorders.org, and Social Work Today Magazine. I believe that every client is an individual and needs an individualized treatment program. Therefore, my practice incorporates elements of Acceptance and Commitment Therapy (ACT), Dialectical Behavioral Therapy (DBT), and Cognitive Behavioral Therapy (CBT). Additionally, I use a Health at Every Size informed approach to treatment. I am passionate about helping individuals to recover from eating disorders and body image issues, to discover self-compassion, food freedom, and body appreciation. I do this work, because i've been there. Everyone's struggle is unique, however I remember how it felt to be consumed by an eating disorder. I love being able to help others to find the same freedom that I did. I am so grateful for my group practice and couldn't picture doing anything else. Invited Speaker, The National Eating Disorder Association Walk, Baltimore, October 2019. Rewriting Your Body Image Story, Project Heal's Retreat, September 2019. Finding Freedom From Binge Eating Disorder, Montgomery College, February 2019. Tools for Healing From Body Image Issues, The International Association of Eating Disorder Professionals Gala, December 2018. Health At Every Size, Georgetown University Clinical and Psychiatric Services, November 2018. 'Insatiable' Netflix's Body-Shaming Show, NBC 4, September 2018. Orthorexia: An Unhealthy Obsession with 'Healthy Eating,' ABC News Channel 8, August 2018. Profile on The Eating Disorder Center, PBS TV, August 2018. Weight Stigma in Eating Disorder Treatment, Binge Eating Disorder Association & National Eating Disorder Association Conference, November 2017. Invited Speaker, The National Eating Disorder Association Walk, Baltimore, October 2017. Concerns Over Netflix's 'To The Bone," Fox 5 News, Washington D.C., July 2017. Body Image Work for Patients Recovering from Eating Disorders, EDRDPRO, June 11, 2017. ​Self Care and Self-Compassion, Montgomery County Department of Health and Human Services, April 2017. ​​Clinical Approaches for Treating Body Image Concerns, DC Therapist Connect, February 24, 2017. "Jennifer Rollin is one of the leading eating disorder experts in the country, and one of the most passionate and dedicated therapists I've ever worked with. 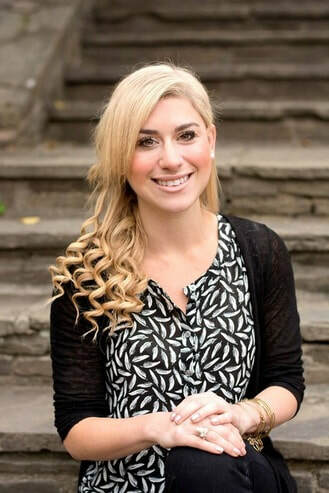 She has excellent knowledge and expertise of evidence based treatments for eating disorders, and in addition, really goes the extra mile for patients and families - ensuring that every client who works with her has the tools to reach full recovery."